We all love our pets, but for some people a cat or a dog just isn’t enough. From the scary to the strange, these celebrities chose furry friends that are far from ordinary. 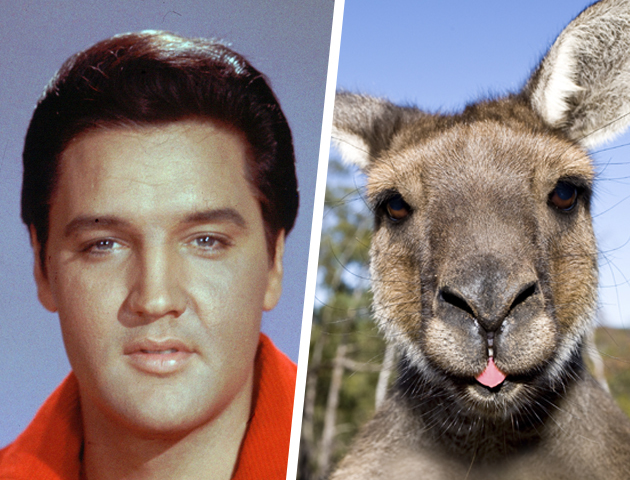 The King had a pet kangaroo that was given to him by Hollywood agent Lee Gordon. He eventually donated the pet to Memphis Zoo after finding it difficult to look after. 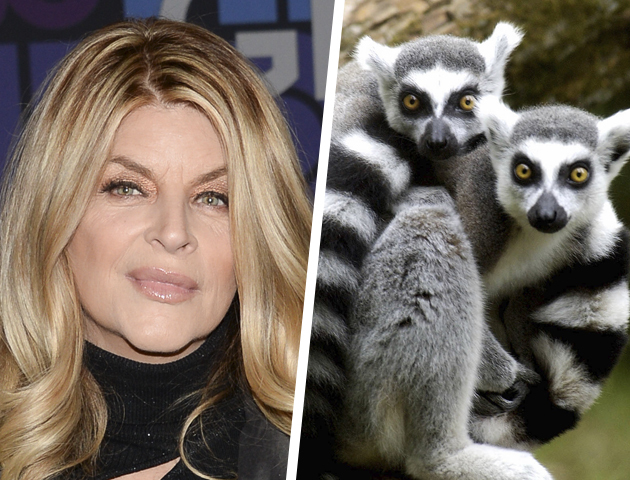 The former Cheers star hired zookeepers to look after her pet lemurs that she keeps at her California home. 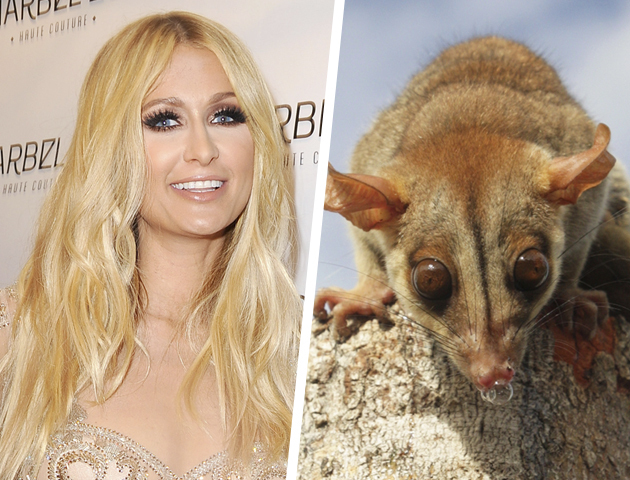 Paris Hilton’s kinkajou called Baby Luv reportedly bit her in 2006. This adorable rainforest mammal is certainly not to be messed with! 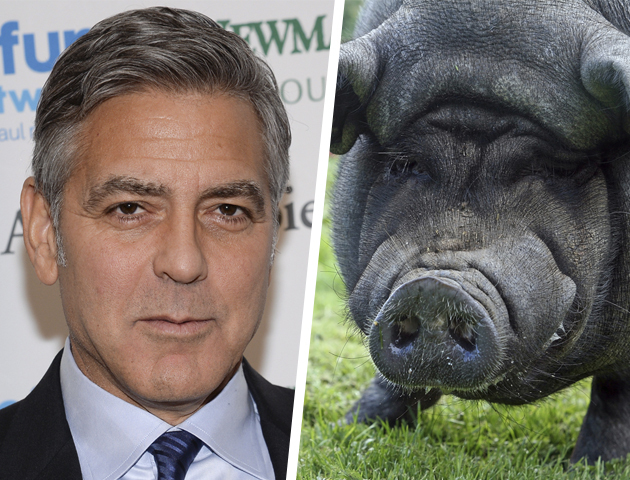 Sadly George Clooney’s pot belly pig Max died in 2006 at the ripe old age of 18. 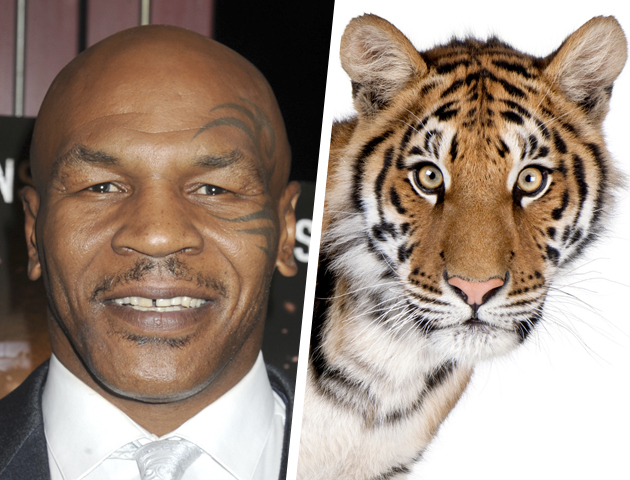 Boxer Mike Tyson once owned three Bengal tigers called Kenya, Storm and Boris. 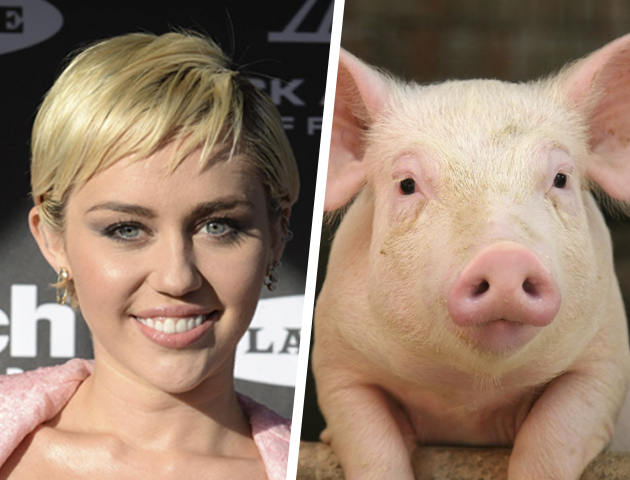 In November 2014 Miley Cyrus caused uproar when she posted a picture of her beloved pet Bubba Sue getting a manicure. 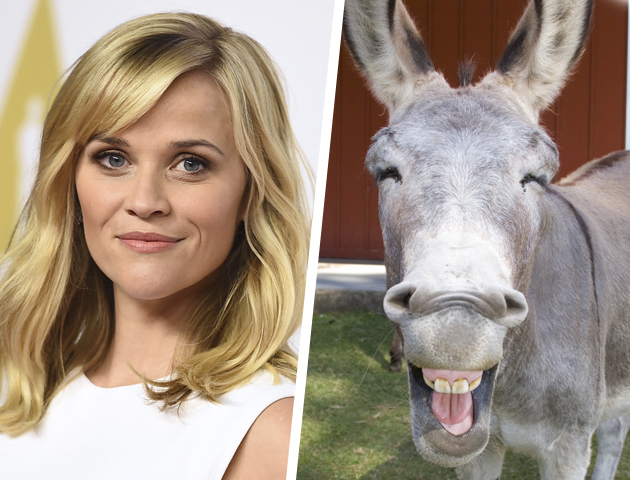 In 2010 Reese Witherspoon spoke on TV series Ellen about her two miniature donkeys, Honky and Tonky. 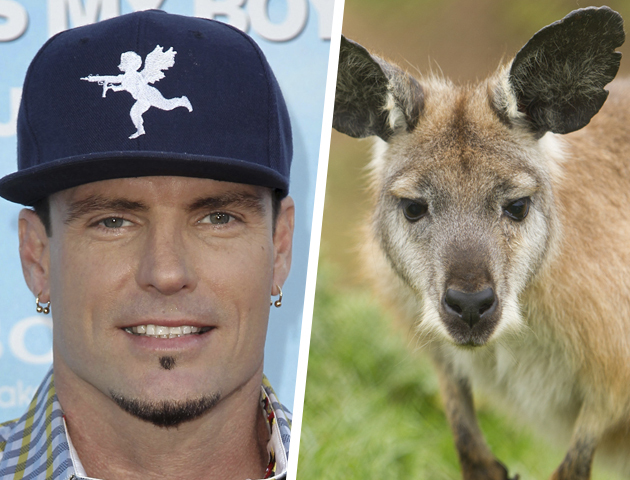 Vanilla Ice’s pet wallaroo called Bucky Buckaroo escaped along with his goat in 2004. They were later reunited, but not until Vanilla Ice paid authorities a fee for their release. 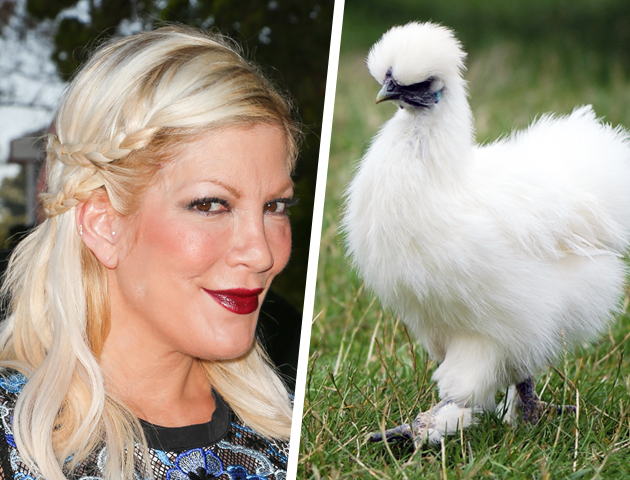 Tori admitted to American magazine Us Weekly that she dresses her chicken Coco in vintage outfits that she makes! 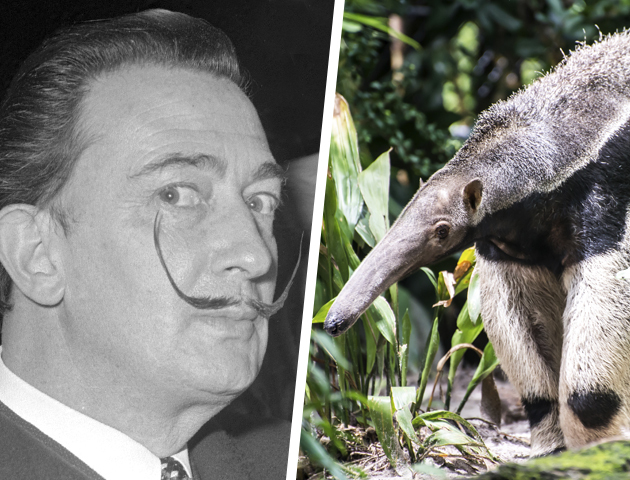 It’s no surprise that surrealist artist Salvador Dali had an unusual pet. Dali also had a pet ocelot called Babou. 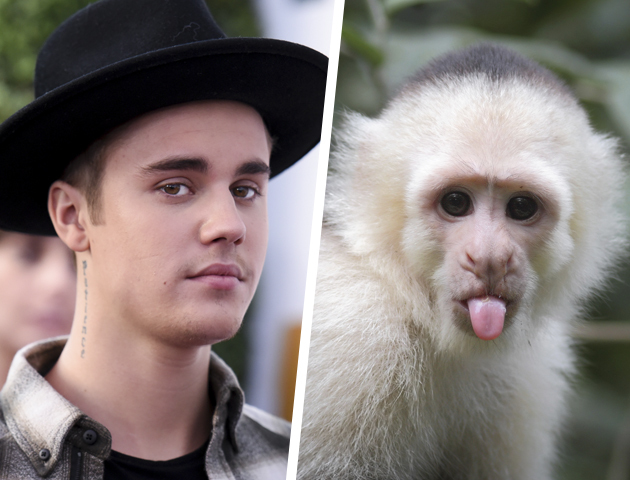 Justin Bieber’s monkey made the headlines in 2013. Mally was seized by German officials after Bieber was unable to provide the correct documentation for him. 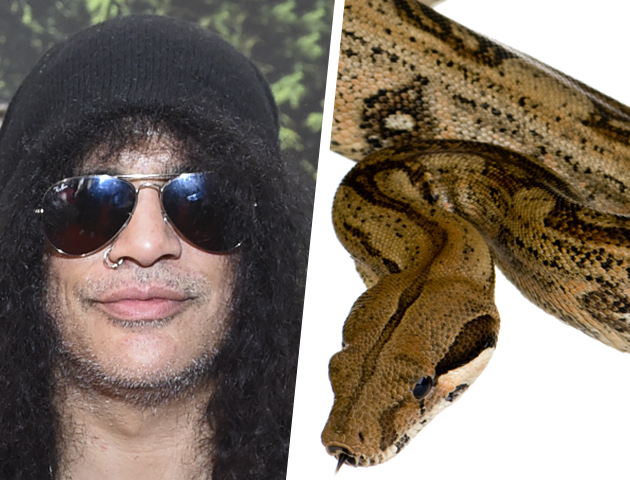 The Guns n’ Roses guitarist famously owned a boa constrictor called Pandora from 1988. Slash tweeted about the sad death of his beloved pet in 2014. 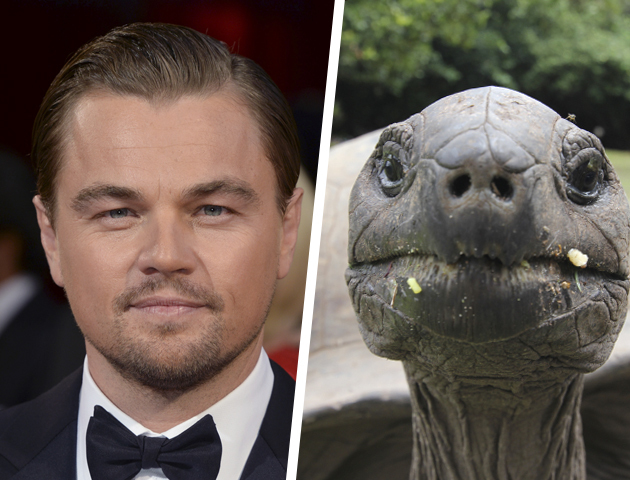 Leo reportedly paid $400 for his new pet back in 2010. This has to be one of the strangest celeb pets ever! 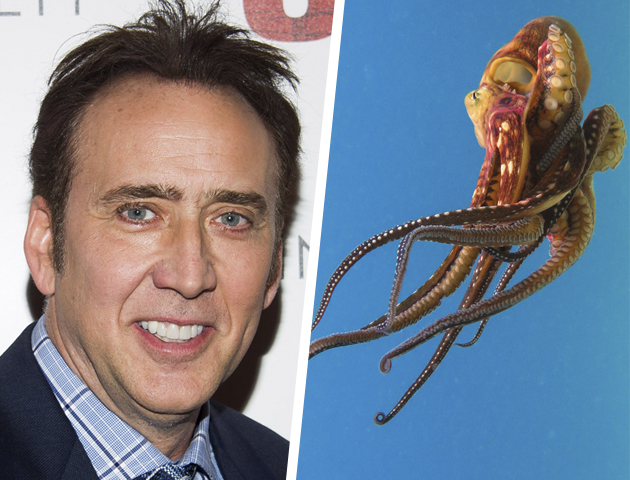 Believe it or not Hollywood actor Nicolas Cage once owned a pet octopus to help improve his acting skills.